The people who have worked to become successful TV writers come from many different places and backgrounds. Many did not even start out to work in the entertainment industry- they were just everyday people with an idea. Most successful TV writers started at the bottom, worked odd jobs at some point, and overcame some sort of obstacle or hardship to get where they are today. 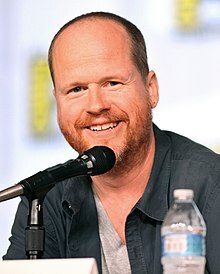 With many of his projects achieving cult status, Joss Whedon is best known for his work as the creator and showrunner of the television series Buffy the Vampire Slayer. He has been described as the world’s first third-generation TV writer, being the son and grandson of TV writers. Joss Whedon was born Joseph Hill Whedon on June 23, 1964 in New York City. He attended Riverdale Country School in New York City as a child. He spent two years at Winchester College in England before graduating from Wesleyan University in 1987. Following a move to Los Angeles, Whedon got his start writing for the TV series Roseanne in 1989. He went on to write and produce several episodes for the TV series Parenthood from 1990 until 1991, before becoming a “script doctor” for several films. He notably worked on the film Buffy the Vampire Slayer in 1992 and helped with Toy Story in 1995. Years after Buffy the film was produced, Whedon revived the concept as a television series of the same name. Buffy the Vampire Slayer ran for five seasons on The WB Television Network before being relocated to UPN for its final two seasons. The show was a critical success and a cult hit; it received an Emmy Award nomination for Outstanding Writing in a Drama Series in 2000. Angel, which debuted in 1999, was a spin-off that focused on Buffy’s ex-boyfriend. For the first two seasons, episodes of Angel were broadcast immediately following episodes of Buffy. The series would run for five seasons, receiving general critical approval and good ratings, though in two of the four seasons when both Angel and Buffy were in production, Buffy’s overall yearly ratings were higher. Angel details the trials of the titular vampire, whose human soul was restored to him by gypsies as a punishment for his murder of one of their own. Because he has been murdering and torturing innocents for over a century, Angel’s restored soul torments him with guilt, and the first four seasons of the show he works as a private detective in the attempt to “help the helpless” and to restore the faith of those who have lost their way. In 2002, Whedon created the groundbreaking television series Firefly, fusing elements of space-based science fiction and old-time Westerns. The series was canceled after 11 of the 14 episodes were aired, many of them out of the intended order; the show simply had not generated enough interest during the time of its airing. After the cancelation, however, Whedon wrote the script for a movie to follow the series, called Serenity, and by 2004 the production had been given the green light by Universal Studios. It was released in September of 2005 and the canceled show, along with the film, have attained massive critical acclaim along with a very dedicated cult following. In 2007, Whedon was approached by one of the regular actors for both Buffy and Angel, Eliza Dushku, to discuss possible ideas for a series in which she could star. The resulting show was Dollhouse, which was announced by Fox in 2008 and began airing in 2009. The show focuses on a corporation running numerous underground establishments known as “dollhouses” which program individuals with temporary personalities and skills. Wealthy clients are able to hire the “dolls” at great expense for various purposes; the show primarily followed Echo on her journey towards self-awareness. Unfortunately, due to low ratings, Dollhouse was canceled after two seasons. Anyone can make a TV show, movie or webisode concept presentation package with New Show Studios. You do not need special credentials, background or a college degree to pursue an idea. As long as you have a clear idea of what your basic idea is and you are able to verbalize this, New Show Studios is happy to help. New Show Studios can help you take action and pursue your TV show, movie or webisode idea. The company has a unique method of creating show concept packages that give network and movie studio executives a professional quality view of your idea. They can take your idea, develop and package it into a demonstration video and send it off to executives in the entertainment industry. This entry was posted in Blog and tagged buffy the vampire slayer, joss whedon, make a tv show, new show ideas, new show studios, tv show ideas, tv writers by newshowstudios. Bookmark the permalink.